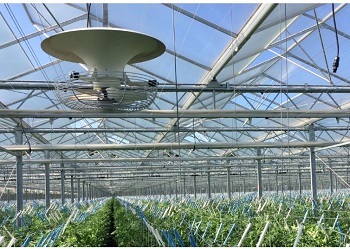 In modern greenhouses ventilation plays a vital role. Through recirculation of air, heat distribution in the greenhouses is optimized, which enhances a uniform development of the crops, from flowers to cannabis plants. energy efficient way. The vertical airflow results in an optimal uniform microclimate on plant level. 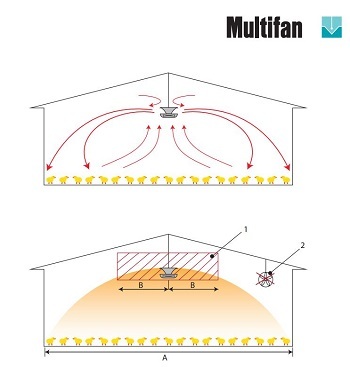 The Multifan V-FloFan for an optimal, vertical ventilation in poultry houses & swine barns. Ventilation plays a vital role. Through recirculation of air, heat distribution in the poultry houses & swine barns is optimized, which enhances a uniform development, independent of the location. 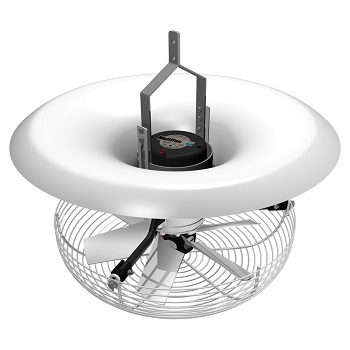 With the V-FloFan, Vostermans Ventilation offers the opportunity to reduce the negative impacts of temperature differences in a simple and energy efficient way. 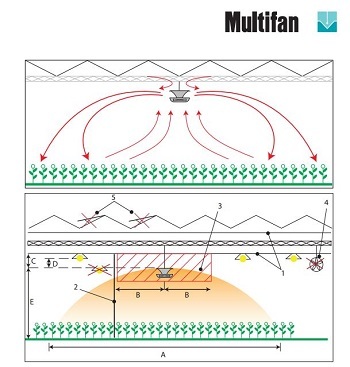 The vertical and horizontal airflows result into an optimal microclimate on animal level.